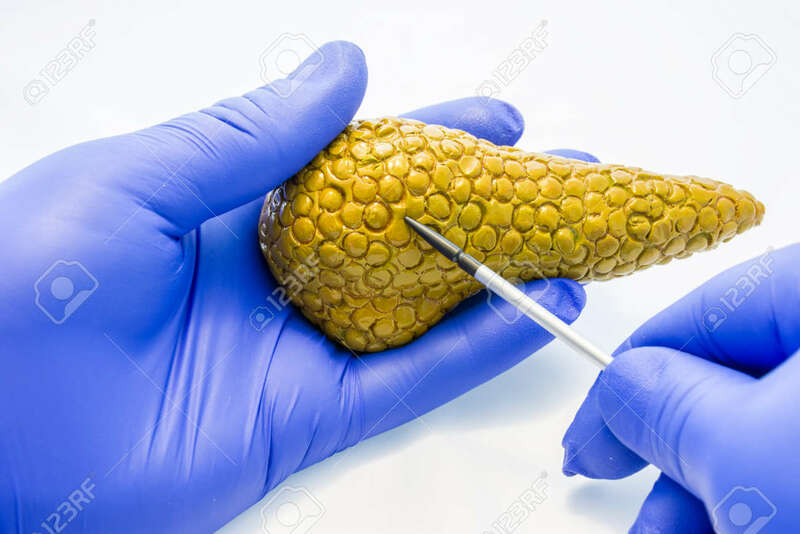 Doctor Or Scientist Holds In Gloved Hand Anatomical Model Of Pancreas Gland And Points With Pointer On Gland Body In Other Hand. Study Or Explanation Of Anatomy And Physiology Or Pathology Of Pancreas Royalty Free Stok Fotoğraf, Resimler, Görseller Ve Stok Fotoğrafçılık. Image 118411141.